Before we get started, I have a question for you. Answer this.Is tomato a fruit or a vegetable? While you are busy thinking about it, lets proceed with this post. 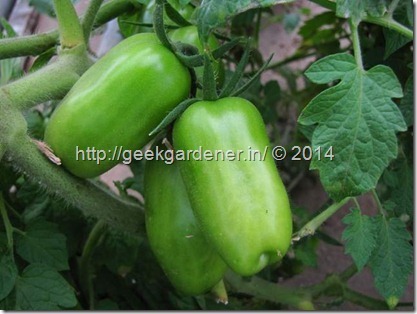 This post is about a variety of tomato called San Marzano. This variety is considered the best choice for paste/sauce/ketchup production. 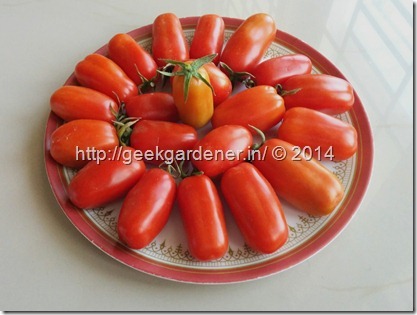 While I like that part, the main reason I chose this variety was not the usage of this tomato but its unique shape. 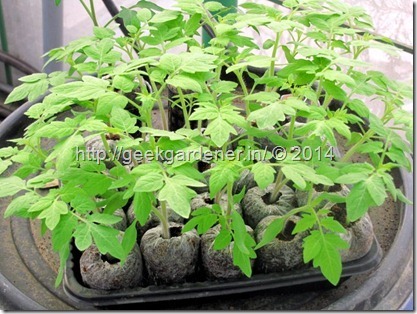 Differently shaped tomatoes are fun to watch and grow. This variety is unique, in that it bears long tubular fruits. 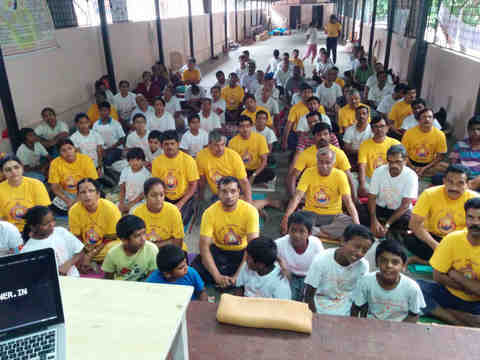 I think the image below will give you an idea of what I am trying to say. This tomato has a lot to offer. The plants are little slow to start to yield (in my case) but once they started the yield was non-stop and we were tired of harvesting red ripe tomatoes. 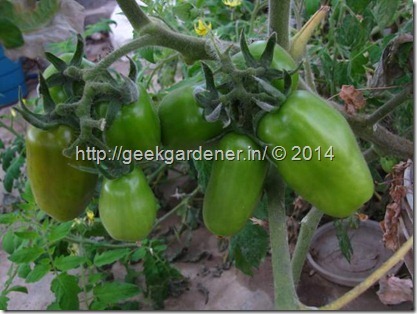 The red ripe tomatoes on the plant are a pleasure to watch. Coming to the taste and flavor, you’ve got to try this tomato to see what I am saying. Be it cooking or for fresh consumption. This one is very good. The fruit becomes a paste within minutes of cooking. One cannot find the tomato at all in the final dish.It is very pulpy, less seeds and juicy, making it the best candidate for sauce making. Convinced? Now to the growing part of it. The growing method for this tomato isn’t different. Growing method in detail below. 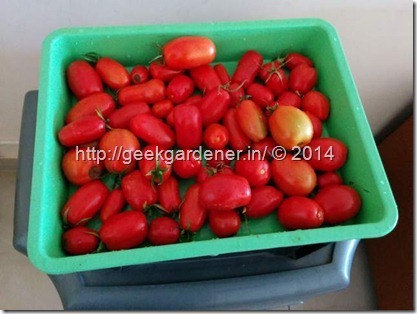 Growing tomatoes is not only lots of fun but you get lots of tomatoes at the end! 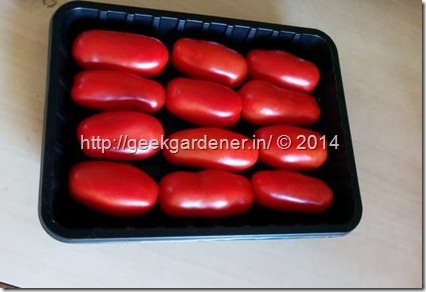 Start the seeds of san marzano tomatoes is no different from other tomato varieties. Choosing good quality seeds and starting medium are key to success in getting them to germinate. Take the cocopeat plug or the cocopeat mix and moist them with water. It shouldn’t be too wet. If you squeeze the mix, some water should come but it shouldn’t pour. I think you get the idea. If you are using cocopeat plugs, simply soak them in a cup of water and you can take them out once they have expanded. Make a small depression on the cocopeat surface such that it is roughly 1cm deep. Sow a couple of seeds per hole. If one doesn’t germinate, the other might. There is a chance that both might germinate. In that case, we have to just remove the weaker one. Cover the seeds with cocopeat. Remember the depth of the seed is roughly 1cm. It keeps the seedling mix from drying out by holding the humidity intact. It protects the seeds from flying away or from rain etc.. 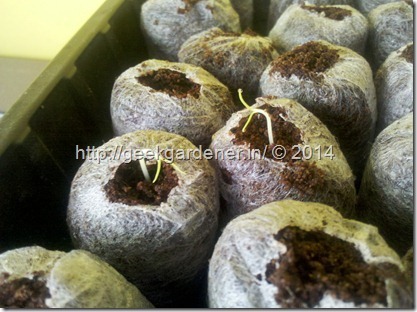 The seeds should germinate in 5-7 days. Sometimes sooner and sometimes it does take up to 10 days. Anything more than that is probably a waste of time. 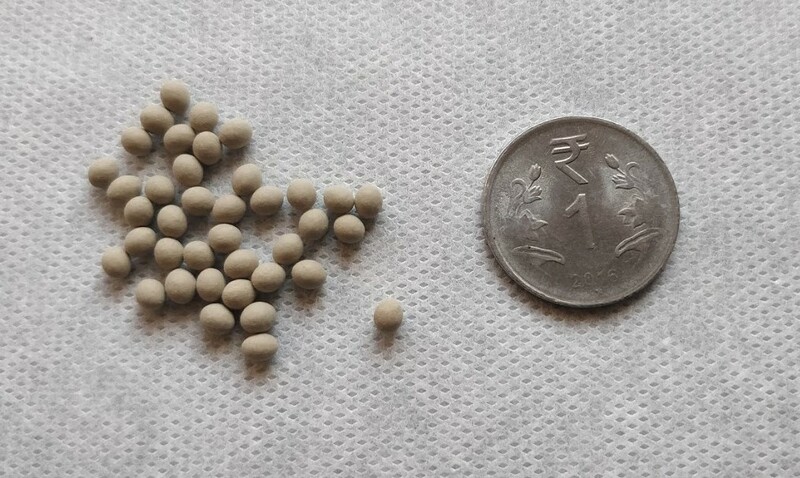 Check if insects have taken away your seeds by just gently remove the mix that covers the seed. Once the seeds have germinated, you have to remove the polythene sheet that covers the seedlings. It is also the right time to move them to a place that gets good sunlight. If that’s not an option, find a place with at least 4 hours of sunlight. This act of moving the seedlings to a sunny spot is very important. Failing to do so will result in plants that are lanky, stretched and tall. This is an indication that the plants are trying to find out the source of light and moving towards the light. Phototropism!! Does it ring a bell? Fertilizer application at this point is very essential. You can add a teaspoon of water soluble fertilizer N-P-K 19-19-19 to a liter of water and water the seedlings every week. 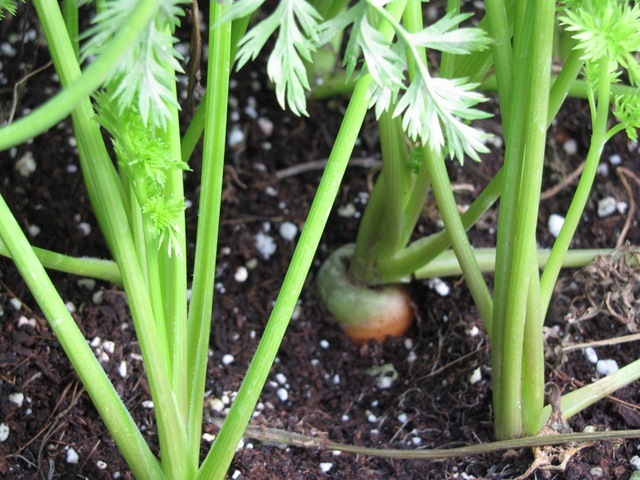 If you had already mixed compost to your seedling mix, this step is not necessary. Transplanting is simply a process of moving the seedling to a more permanent location where it will grow older and yield fruits ( that is if you take care of them well ;). Tomato prefers a large size pot. When I say large size, I mean 10-15 liters capacity. Not that the plants wont yield in smaller pots, they will yield more with bigger pots. A 12” pot should be sufficient. One can grow them in a polybag as well. One plant per pot/bag is recommended. If you have a much bigger pot, two plants can be planted. 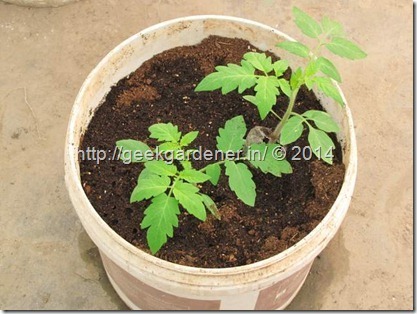 Tomato plants are transplanted as shown in the picture below. I have put two in a pot ( 20 liter capacity). The ideal potting mix for growing tomatoes in pots are a mixture of cocopeat and compost, if one wants to grow them organically. 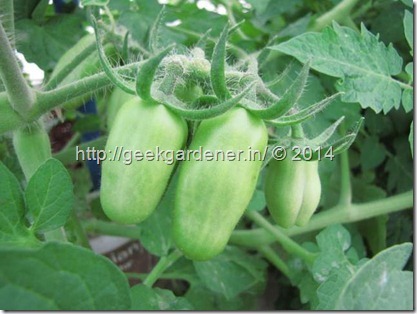 Tomato plants needs lots of nutrients in the growing phase and during fruiting phase. It is essential to add compost regularly ( every week or 10 days) to the container. A weakly (pun intended) dose of 19-19-19 NPK will give the additional boost for the plant. Compost made from kitchen waste is also a good source of nutrition. 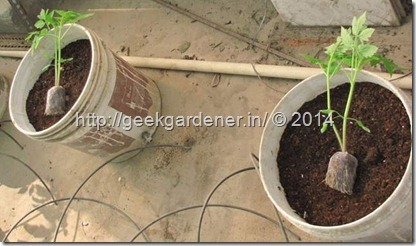 I also transplanted couple of plants in container filled with just perlite to study the differences. More on that in a different post. 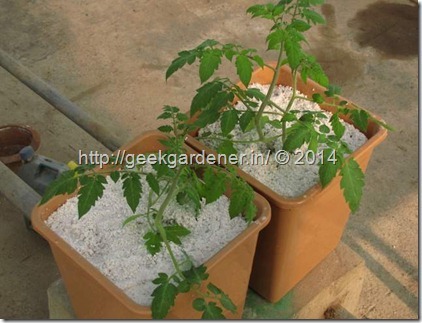 If you are growing tomatoes hydroponically, you can just use Perlite or cocopeat for the potting mix. The nutrient solution suggestions can be found the forum in this site. 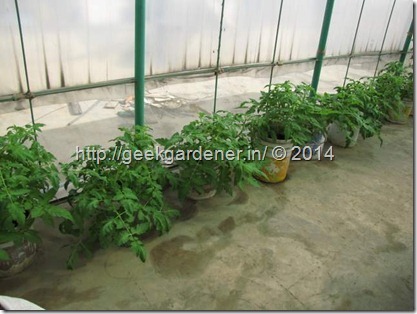 Hydroponic nutrient meant for tomato must be watered to the plant on a daily basis. San Marzano variety is actually indeterminate and can grow very tall. The ones I got the were semi-determinate. They grow to a height of up to 4-5 feet and they branch a lot. If you want them to grow taller, remove the branches. Otherwise just leave them be. Tie the plants stems to a pole using a twine. The plants yield in bunches and the weight can break the stem if not staked properly. 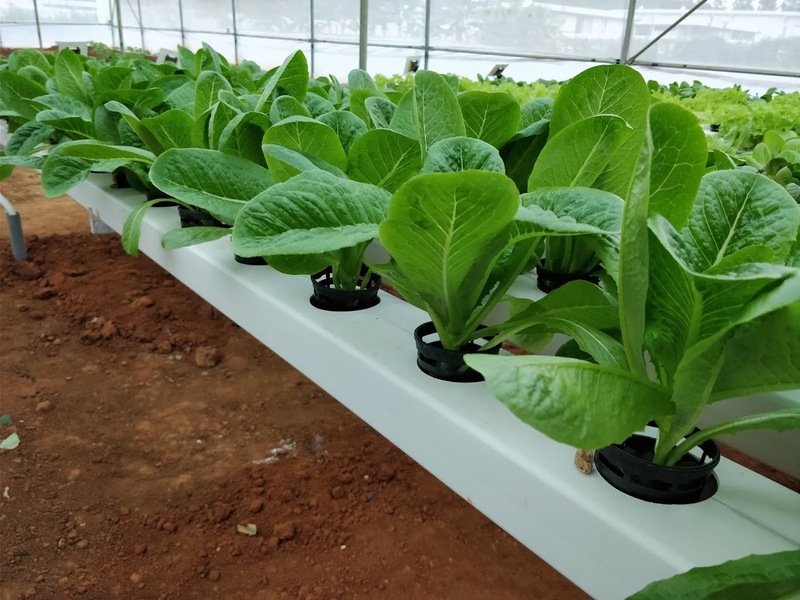 Maintenance involves regular checking for pests, ensuring watering is done properly to the plants and also checking for abnormalities in the plant. 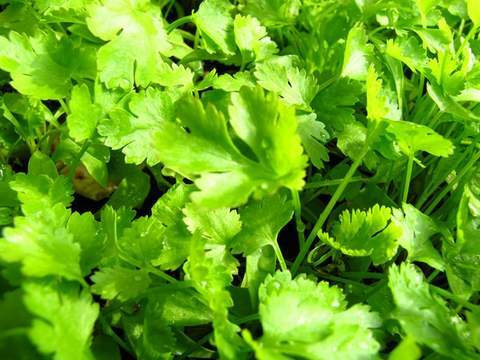 Regularly taking a look at the plants can help us prevent many diseases/insects in a much earlier stage. The following problems might come. Neem oil at the rate of 10ml per liter sprayed on the leaves of the plant should control these pests. When the plants start to flower and set fruits, regular watering is very crucial and addition of fertilizer is important. Deficiencies like calcium will start to manifest in the form of a blossom end rot. There are two ends to a fruit. Stem end and blossom end. Stem end is the side of the fruit attached to the stem. Blossom end is the opposite side to it ( farther from the stem). If you see black rotten half near the blossom end, it is blossom end rot aka BER. It means either there is a calcium deficiency in your mix or you haven’t been watering the plants regularly. If you do get calcium deficiency, do not PANIC!. A simple way of fixing it is to add lime (chunam). Just a pinch. Your local pan shop might help you with this. 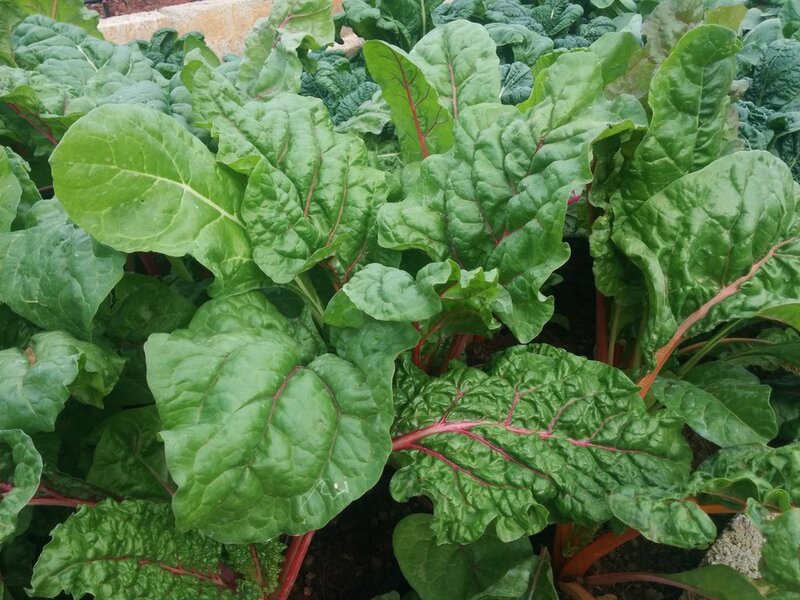 If you are taking good care of your plants, then harvest should be bountiful. I always let the fruits ripen on the plant. Fruits ripened that way are far more superior in taste and flavor. San Marzano has a unique characteristic. The fruits automatically drop off to the floor when they are ripened enough. You just have to walk to your garden and pick up the fruits that are ripened to perfection. Graded, sorted San Marzano fruits. Below: San Marzano along with some Non Marzano fruits. There is plenty for all. Hope you all enjoyed this post. Remember I asked you a question in the beginning of the post? Tomato, Is it a fruit or a vegetable. Botanically speaking, tomato is a fruit. A fruit is one that has seeds which comes from a flower after pollination. But the sugar content of the tomato is not high enough to call it a fruit, making tomato a vegetable. Doesn’t matter its fruit or a vegetable.. tomato or tomaato.. we continue to love them Tomatoes! San Marzano tomatoes are a heirloom variety of tomato well known for their usage in canning and sauce making. 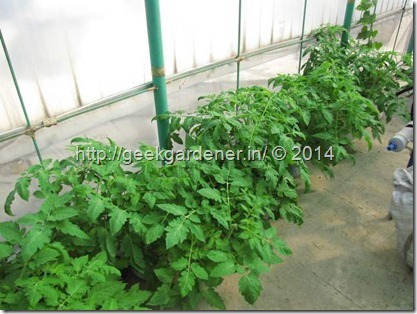 These are determinate plants yielding pulpy tomatoes in about 12 weeks time. 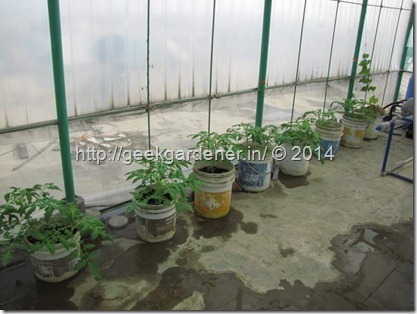 This articles explains step by step with pictures, how to grow san marzano tomatoes. Where can we get seeds ? 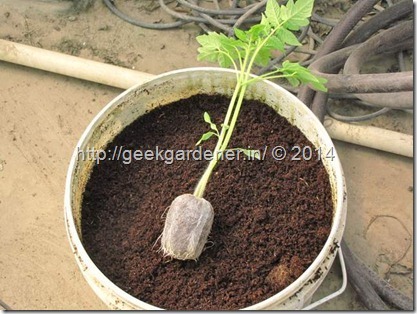 I plan to make recirculating drip dutch bucket and use coco fiber only as media in growing tomato. I’d like to get your opinion if this is viable? Because from where I am it is hard to find perlite to mix it with coco fiber. So I decided to use coco fiber only. Using cocofiber/peat is a good option to proceed with. Make sure the cocopeat is not too fine. A little coarse mix is good. 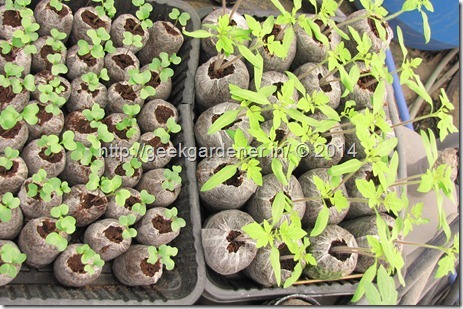 You dont necessarily need perlite. You can substitute with expanded clay or even coarse sand. Can we use red soil+Coco peat(50:50) to grow tommmatos in a container? red soil and cocopeat can be used however, some source of nutrients should also be added. You will have to mix either 1/3rd compost and weekly dose of NPK. In how many days will this plant start yielding. My plants have just started to germinate. A simple way of fixing it is to add lime (chunam). Just a pinch. Your local pan shop might help you with this. What is a pan shop? My tomato plants seem to dry leaves but tomatoes do come. and once leaves start drying the tomato growth slows down. Currently I am using photonics-19 (herbal extract–10/1ltr) and Ful Gel (bio stimuli 60sc)and BT viagro. the names are as written on bottles. Am also spraying neemazal-t/s and vedant greensil(silicon foliar spray) diluting in water. Please advice whether i am using correct fertilizers? 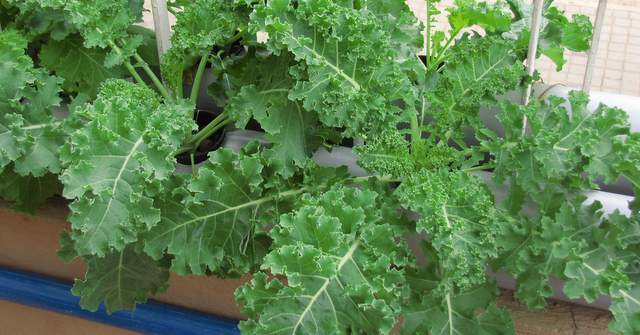 Using NPK as fertilizer ..
Technically, most vegetables that grow above ground are fruits. It’s just a culinary distinction that the ones that are not sweet are called vegetables. That is of course, excluding roots and underground stems like potatoes, carrots, radishes etc. Coco peat is multi purpose growing media..Here i found very good information. We are leading coco peat supplier in India.